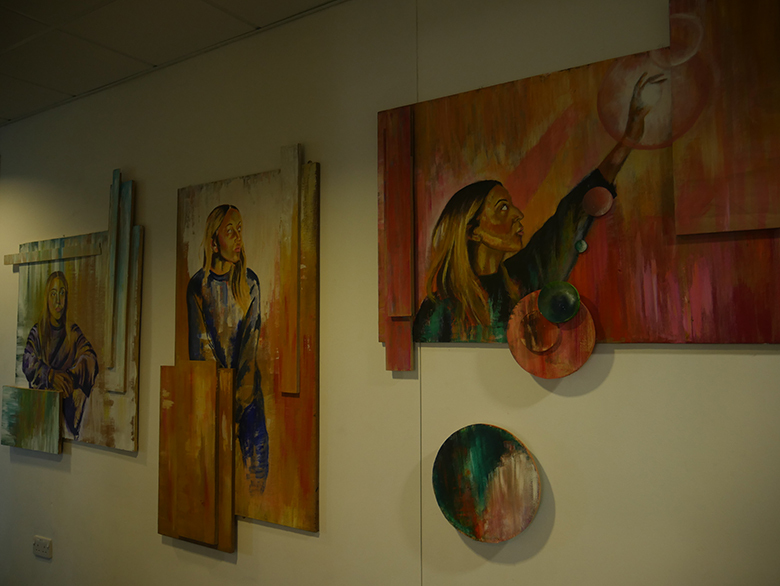 Four Visual Arts students at The Sixth Form College, Solihull have had their talent and hard work rewarded prizes fro mthe Arden Decorative & Fine Arts Society (Arden DFAS). 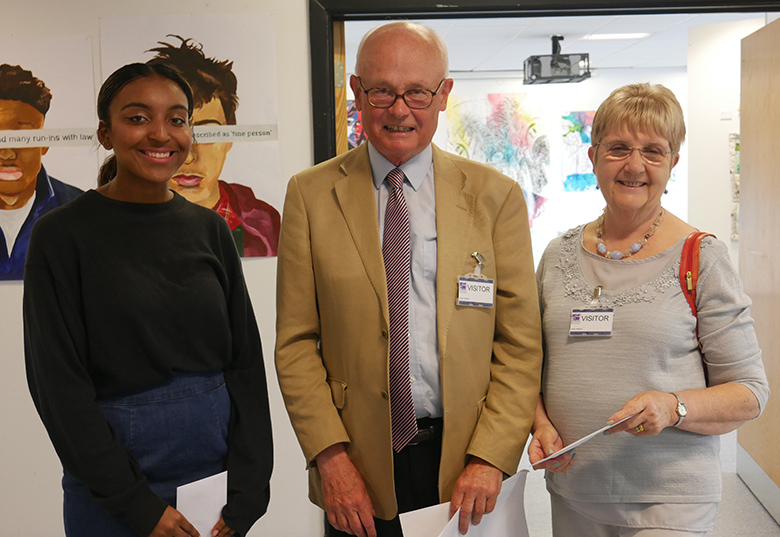 Two BTEC and 2 A level students have got the prizes this year, after judges from Arden DFAS came into College to inspect the Art Exhibition of students’ work. BTEC Art & Design student Lauren Henry got the top prize for her fine art paintings, while the runners-up prize went to fellow BTEC student Sadia Sultana, who produces textile artwork. A further two prizes were handed out to A level Fine Art student Kelsey Evans and A level Photography student Alexander Conway. Kelsey impressed the judges with her black and white pencil drawings, while Alexander’s artwork centred around portrait photography. All four students have received cash prizes from Arden DFAS and were presented with their prizes at a ceremony on Friday last week. Representatives from the Arden Decorative & Fine Arts Society were on hand to give out the prizes. See more photos of the award winners and their artwork on Facebook.